At present, a lot of international travelers start their Tibet tour from a famous Chinese city - Guilin. This is a beautiful city located in the southwest of China. Here, you can enjoy the green mountains and clean rivers. It is convenient for travelers to begin your Tibet trip from Guangxi Province. Guilin-Yangshuo and Lhasa Tibet is a hot route for travelers like Germany, UK, France, Netherlands, South and North American, south, east and southeastern Asian countries, etc. Guilin is famous for its natural beauty, and it is one of the most popular tourist destinations in China. Another two cities are Beijing and Xian. It is crowned as the most beautiful place under heaven because of the special landscape called Karst. In Guilin, there are lots of scenic spots, such as Rice Terraces, Ping An Village, Reed Flute Cave, and Li River. Travelers are always confused by the question: What Tibet Travel Document should I take before starting my Guilin - Tibet tour? According to our rich experience, Tibet Travel Permits are very important for foreigners to travel in Tibet from Guilin. With the help of your tour operator, Tibet Travel Permits are easy to get. Here are some Guilin Tibet tour packages, and wish you have a happy trip! During this journey, not only can you unveil the mystery of the Karst landscape in Guilin, but also you can be charmed by the amazing plateau views and mysterious cultures in Tibet. This is an itinerary about Guilin Tibet tour. Travelers can have a better understanding of the Karst scenery, fine weather, and fresh air of Guilin, and the charming nature, pious pilgrims and high mountains of Tibet. How to get to Tibet from Guilin? Currently, there is no direct flight from Guilin to Tibet, so you need to fly to a China city like Chengdu, Xi’an, and Kunming first, then transfer a flight to Lhasa. Besides, there is no train from Guilin to Lhasa, if you want to experice the Qinghai-Tibet Railway, you can fly to Chengdu or Xian, then take a train to Lhasa. When is the best time to visit Guilin and Tibet? The climate of Guilin is suitable for year-round travel, and from April to October is the best time to visit Guilin and Yangshuo. From April to June, the weather is very humid, during which the Li River and the countryside are full of mist. From July to August, it’s a little bit sultry. 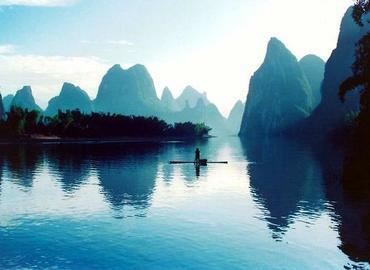 September and October are the most pleasant time to travel in Guilin and Yangshuo. In winter(from December to March), the weather is mild and a little bit cold, but the tour price is much lower. The best time to visit Tibet is also from April to October. Please note that Tibet will be closed for all foreign travelers from February to March because of Tibetan New Year. What destinations should I choose for our Guilin and Tibet tour? Guilin is well-known for its karst scenery. There are countless mountains to climb, magical caves to adventure, and beautiful rivers to cruise. Longji terraces is a must-see magnificent natural landscape in Guilin, also, you’ll have a good chance to experience rural life with many ethnic and village-themed attractions such as Daxu ancient town and Tongmu village. In Tibet, you can learn about Tibetan Buddhism culture with many famous monasteries like Sera Monastery, Potala Palace, Jokhang Temple, etc. What’s more, there are some wonderful natural landscape in Tibet like Yamdrok Lake, Namtso Lake, Everest Base Camp, which definitely make your trip worthwhile.